Back in January 1973, Atlanta had one of the worst snow / ice storms in modern history. First, it began to rain, then sleet..and finally snow. Over the course of the next five days, the temps raised and lowered slightly, alternately layering the already frozen landscape with fresh coatings of freezing rain, sleet and snow. Temperatures plummeted into the single digits, and Atlanta and the surrounding communities were plunged into the ice age. Rampant power outages, frozen pipes and total immobility left the city a ghost town. It was 10 days before the ice lifted and another 3 days after that before power was marginally restored. In the end, 112 people died from exposure or from Darwinism taking effect. We were one of the lucky families, we had a fireplace and we had food. When the power died, the six of us packed up all the blankets we could find, each grabbed a stack of books and barricaded ourselves in the den around the fire. We spent the next week bathing in melted snow, eating hobo dinners and biscuits cooked on the fire, and getting restless….very restless. Spending time locked in close quarters with your siblings is one thing, being locked in with smelly, unwashed siblings is something else entirely. I’m sitting at my desk today watching the car-sized shelves of collected snow slide off the roof outside the window. Thankful that the temps have only hovered around freezing since the storm began. I’m full, satisfied, and comfortably reeling from a carbohydrate overload…. life is good. At this point, it could drop into the teens tonight and freeze the south solid. I don’t care…..
We’ve got heat, a generator…..and biscuits. This recipe will make 24 small biscuits using a 1 1/2″ cutter – or – about a dozen if you are using something the size of a cats head. 3 Cups White Lily Self Rising Flour. Add the Buttermilk – stirring briskly with a fork just until all the flour / Crisco mixture is all incorporated. Be Careful not to OVER-MIX the dough. The dough will be very sticky. Scrape the mixture out onto a lightly floured surface. Lightly kneed the dough to where it just forms a ball. Remember – less is more. the less you can work the dough to get it to the ball stage, the lighter, fluffier your biscuits will be. Using a biscuit cutter, press straight down to cut the biscuits. Be careful not to “twist” the cutter as this will crimp the dough on one side and make them lopsided when they cook. Place the cut dough on a lightly greased baking sheet and pop into the oven. Bake at 500 for 10 to 12 minutes. the biscuits will be nicely browned on the top. Open a couple of hot biscuits, smear a generous layer of butter and a tablespoon of dark brown sugar. Pop in the micro for 30 seconds. 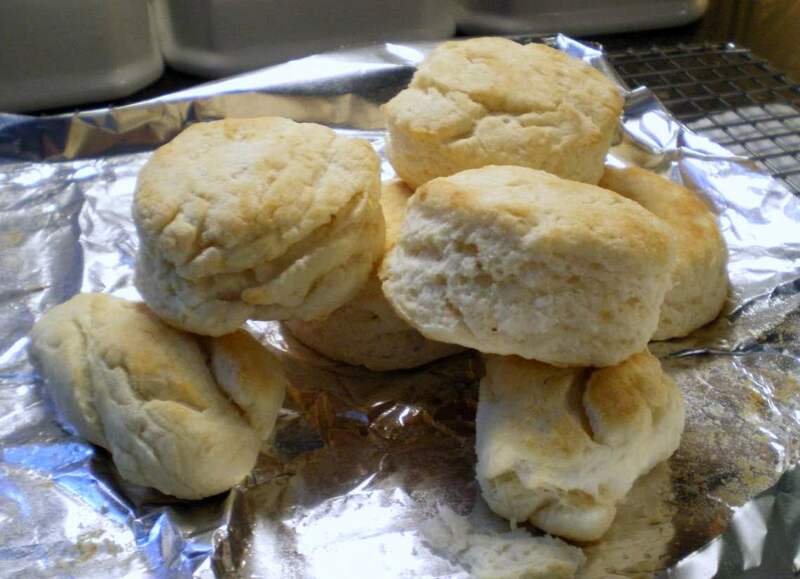 I thought I knew biscuits… That is until I moved to North Carolina. My love for biscuits is now on a WHOLE different level! 😀 These look GREAT! I have heard so many things about White Lily flour. I have a local flour here in AZ that is wonderfully light. It costs a lot more, but is worth it when baking. Your story from that 1973 snowstorm is priceless. @Anna JohnstonYes, very cold, indeed. Since a typical winter is high 30's and rain.I'm ready for summer, already…. I love biscuits! These look amazing. 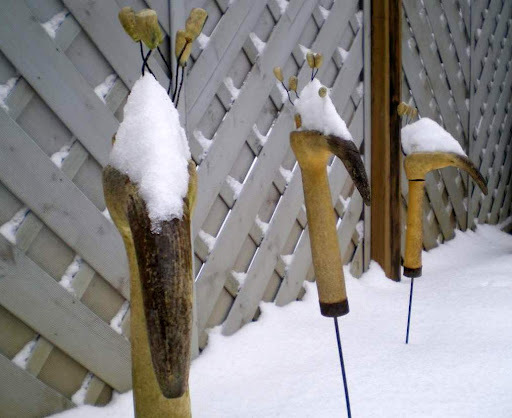 I love the snowstorm story…the snow in your pictures hangs around here for the entire winter. 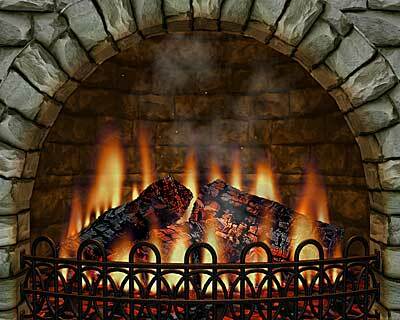 Fireplaces or woodstoves are so very handy indeed! @MelindaYep – there was also a stew.. thanks for reminding me. I think the snow dragon was a couple of years earlier. The ground was so packed with ice and sleet, I don't think we could have scraped enough of it up to make anything substantial – plus it was so cold, we would have frozen to the ground. If I remember correctly, Mom also made a big pot of beef stew in the fireplace. Was this also the snow where we made the snow dragon out by the road? The best flour ever. I miss it so much. Those biscuits sound wonderful! Perfect combination of ingredients. Just right for heaping on butter and jelly or sausage gravy. Kudos to your momma!